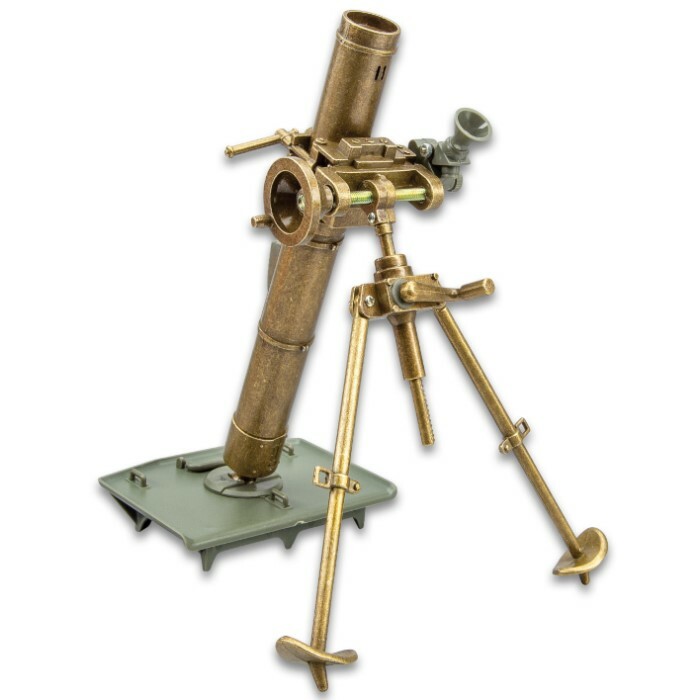 Desk Display M2 60mm Mortar Replica - Metal And Plastic Construction, Accurate Reproduction, Includes Miniature Shell Replicas | BUDK.com - Knives & Swords At The Lowest Prices! 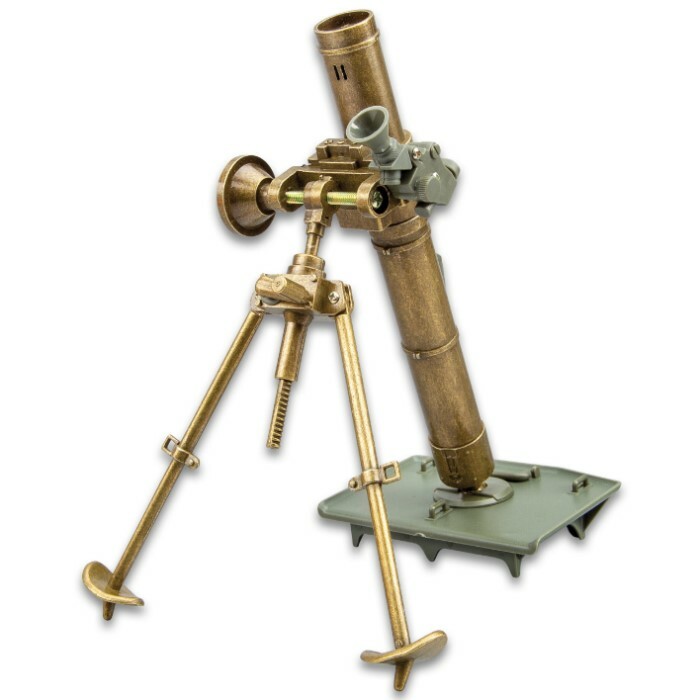 Used by the United States Armed Forces since WWII for light infantry support, the M2 Mortar is the predecessor to the muzzle-loading ground support weapons still in use today. 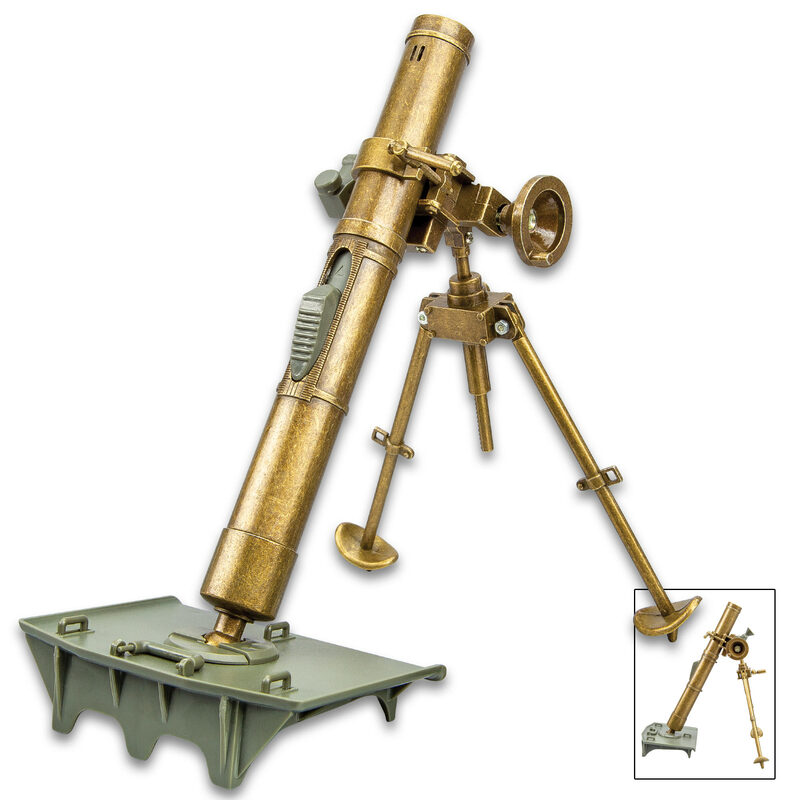 This accurate reproduction is crafted of metal and sturdy plastic with finely rendered details. 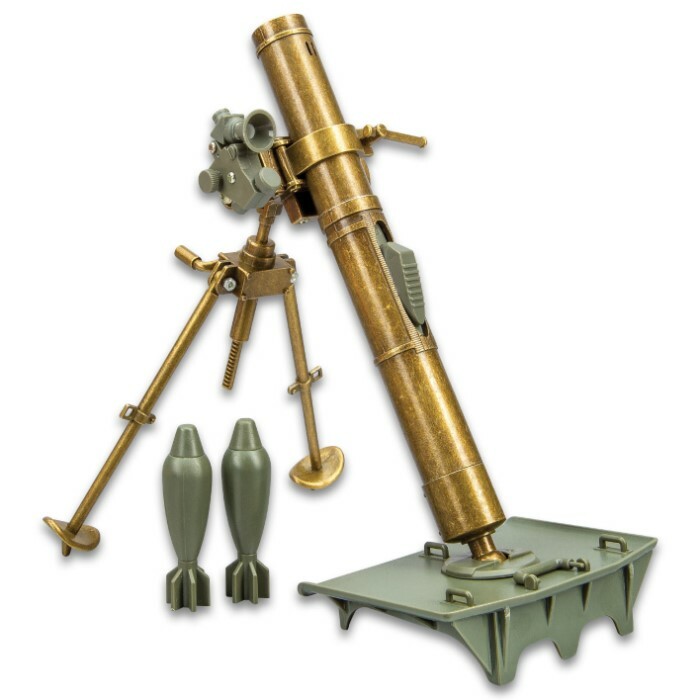 The display includes two miniature replica mortar shells and its dimensions are approximately 6 1/2”x 7 1/2”.